Teachers love apples in the classroom, and now it's time to see how educators at Mercyhurst Preparatory School will feel about the Apples that will arrive in their classrooms within the next year. With the recent news of Mercyhurst Preparatory School receiving a $500,000 donation, from Bill and Betsy Vorsheck, to be used for technology, I was curious to see how their investment could be utilized. It was decided that Mercyhurst Prep would purchase 600-plus iPads for each of the school's students and teachers to use in class and at home. Several schools across the U.S. are adopting the technology of the revolutionary iPad, a finger-based tablet, in the classroom. Apple officials say they know of more than 600 districts across the country that have launched what are called "one-to-one" programs, in which at least one classroom of students is getting iPads for each student to use throughout the school day. Why is it that so many educators are turning towards the iPad, and does this mean that textbooks will become a story of 'remember when' that we tell future generations about someday? According to biographer Walter Isaacson, Apple co-founder Steve Jobs thought the iPad could make textbooks obsolete, telling News Corp. chairman Rupert Murdoch of his thoughts involving the textbook revolution. His vision could become more of a possibility with Apple's introduction of three free pieces of software revolving around education. At the end of January, Apple released iBooks 2, a new version of its electronic bookstore, iBooks Author, a Macintosh program for creating textbooks and other books, and iTunes U, an application for instructors to create digital curriculums and share course materials with students. Currently, iTunes U is used by colleges to release video and audio from lectures, but the app will be available to kindergarten through 12th-grade schools, allowing teachers to present outlines, post notes, and communicate with their students on another platform. Currently publishers Pearson and McGraw-Hill are featuring electronic textbooks that contain videos, and other interactive elements while textbooks from Houghton Mifflin Harcourt are coming soon. So how is the device that changed everything now changing the classroom? iPads are taking students and teachers where regular textbooks cannot. The iPad inspires creativity and hands-on learning with features that can't be found in other educational tools, on a device that students are excited to use. Powerful built-in apps and apps from the App Store allows students to engage with content in interactive ways, find information in an instant, and access an entire library wherever they go. Currently, there are more than 20,000 educational apps in the App Store for every type of learning and various subjects from sign language to science. With the introduction of Multi-Touch textbooks, iPad continues to take learning to a whole new level. If students don't know a word or how to pronounce it, they can easily look it up, and if they want to learn more about a historical person, it's all at their fingertips. There are so many features of the iBooks app that all of the tools are literally at the student's fingertips. Simply run your finger over a line of text and it's highlighted. Then tap a highlighted section and a palette appears. Switch to underlining, change colors, or add notes. Change to Notes and view all of your notes and highlights instantly organized in one place with tappable links to the relevant passages. No more heavy Webster dictionaries, sticky Post-It notes, and bright Highlighters required to take notes on the text that you're reading. 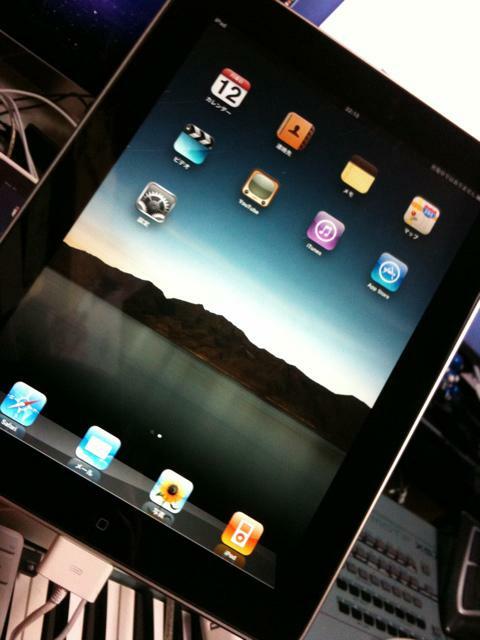 The iPad is also not a replacement for desktop or laptop computers – it is a whole new category of device, with a different set of functionalities and should be considered in that light. In the college classroom, there can be a stigma when students are using laptops because they can be a distraction and a barrier between the student and teacher. Teachers are not as concerned about the iPad being a distraction or barrier because of the single program use and flat surface. Students cannot have multiple programs running at the same time – i.e. Facebooking rather than following along with the textbook. Teachers at Mercyhurst Prep will receive their iPads and begin training at the end of this school year. With a memory capacity yet to be determined, we can say that Mercyhurst's iPads will be the Wi-Fi version. In March, Apple will debut the iPad 3 and school officials at Mercyhurst will consider which version to purchase and what applications will benefit their students and teachers the most.